Leigh Ann Stone is a Registered Nurse that contracts with PC&A to do eligibility determinations for the Children with Disabilities Community Services Program. She determines initial eligibility as well as annual redetermination for Acute Hospital Level of Care and Nursing Facility Level of Care. She graduated from the University of Charleston with an Associate nursing degree in 1988. She later attended post-graduate school at West Virginia State University and received a Bachelor of Arts. She went on to earn a Masters in Healthcare Administration from the University of Phoenix in 2006. 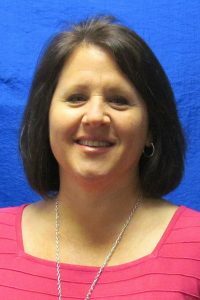 She works at Charleston Area Medical center as Director for Case Management and has been employed at CAMC for 30 years. She currently resides in Cross Lanes, WV, with her husband and two sons.